Title supplied by cataloger. 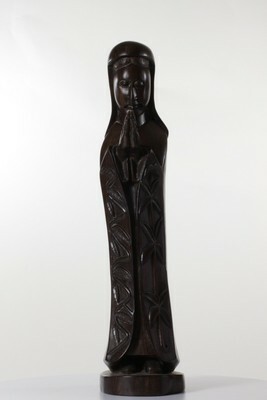 Handcarved wood figurine, presumed to be of Mary, mother of Jesus. The figurine is part of a 3-piece nativity setting. The figurine is marked as handcarved by A. Costanza for the Silvestri Corporation.